These two were referred to me by my good friend and amazingly talented photographer Tarah Sweeney. 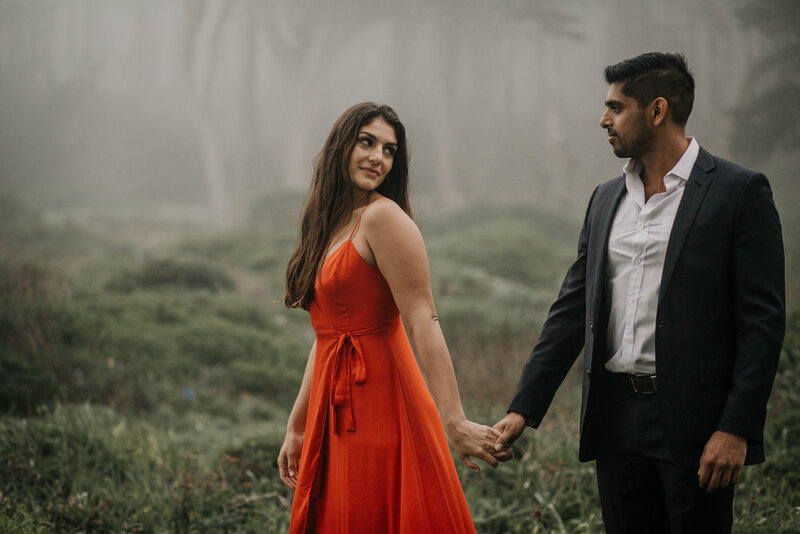 Tarah is based in the San Diego area so when her wedding clients, Megan and Shomrat who live in San Francisco wanted an engagement shoot she suggested they come to me! Often times my clients come to me wanting sunny, backlit photos (something I think I do pretty well, ha!) so when the forecast in San Francisco looked foggy and dreary I asked if they wanted to stick to our shoot time or try and reschedule. 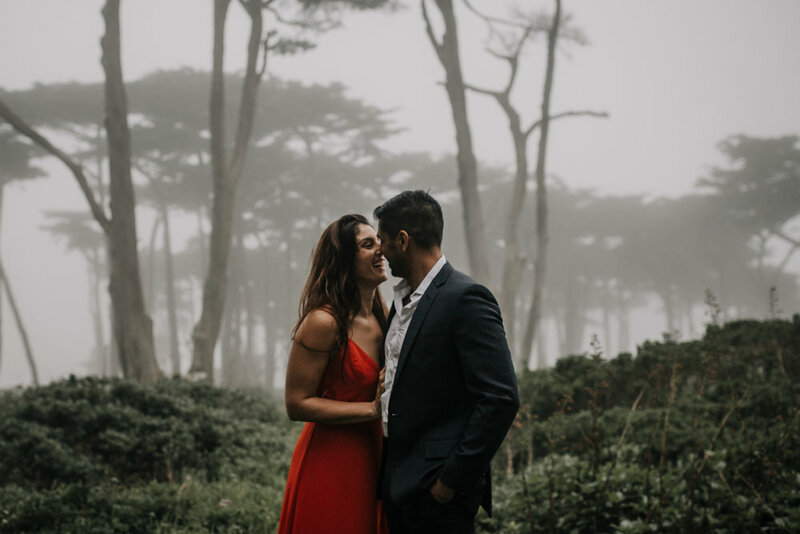 They enthusiastically agreed to shoot that same day and embrace the very "San Francisco" vibe, aka Karl the Fog. Yes!! Sun is fun but getting to shoot in this beautiful, unique weather was a treat. While everyone else was fleeing from the coast we ran around in the grass and pretended we were on the set of a Jurassic Park film. haha. We had started the shoot down at Ghiradeli Square where the weather was a bit more chill but we could watch the fog rolling in. It's actually quite beautiful and I always encourage people who visit SF to embrace it's unpredictable weather. Its what makes this city unique. These two crazy kids are married now and I can't wait to see all of their amazing wedding photos from Tarah!